The name means "St. George", and that simpler English form is starting to turn up on bottle labels as more Greek winemakers target the American market. Agiorgitiko is a red-wine grape originating in the region around Nemea in northeastern Greece (yes, the Nemea of Hercules and the Nemean lion). The grape is today grown principally in the same area, though there are lesser plantings throughout Greece. Any wine labelled "Nemea" must be of 100% Agiorgitiko. It is one of Greece's two "signature" red wines (the other being Xinomavro). The grapes are grown everywhere from sea level up to high elevations. It is generally felt that the higher-elevation plantings yield better wine, but it is from difficult to impossible for the average consumer to know which wine came from what elevation vineyard. Agiorgitiko is a royal pain in the vineyard, for numerous reasons. Quite recently, new and supposedly rather better clones of Agiorgitiko have been released, and plantings are slowly being converted. Whether that will have any effect on the resultant wines is unknowable but not likely. Agiorgitiko can be and ocasionally is used in blended reds, but is chiefly bottled as a monovarietal. Besides making red table wine, however, Agiorgitiko lends itself to the making of rosé and dessert wine, as well as lightweight versions made by carbonic maceration; that is the same technique used to make Beaujolais, and the resulting wines are generally similar. Factoid: The grape name Agiorgitiko, "St. George", is likely from the name of one of the many towns in the region also so named, though it could derive from the chapel of Saint George in Nemea; in fact, Nemea was once known as "Agios Georgios". "[T]he best examples of Agiorgitiko tend to have moderate to low acidity, with a deep, ruby color, red fruit aromas and a sweet spicy note. These examples tend to come from vineyards planted in the middle range of the hillside slopes around Nemea with grapes harvested near the top of the 900 metres (3,000 ft) hills being excessively acidic while those harvested from the very warm valley floor often being too 'jammy'." . . Wine expert Tom Stevenson notes that while Agiorgitiko vines can withstand heat well, the grape tends to produce better in higher altitude vineyards that are slightly cooler but still sufficiently warm to insure that the grape fully ripens. The altitude of the vineyard, in particular, seems to have an effect on how much of a 'spicy note' comes out in the flavor of the resulting wines. . . 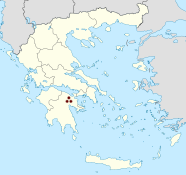 According to Master of Wine Jancis Robinson, some of the "most serious examples" of Agiorgitiko come from the higher altitude vineyards (up to 900 metres (3,000 ft)) of the Asprokampos plateau around Nemea and in the hills (between 500 metres (1,600 ft) to 600 metres (2,000 ft)) around Koutsi in Corinthia. "The wines have deep red color and aromatic descriptors of red-fruit (ripe strawberries, black-current) and butterscotch when young. Older wines from the best plots have aromas of confected or dried fruit (fig, raisins, plums). Tannins are remarkably soft and evolve in time very slowly." "The resulting wine can take on a diverse range of characteristics, from soft, easy-drinking and plummy to fleshy, robustly tannic and age-worthy, depending on the yields, the location (elevation/aspect) of the vineyards and the winemaking processes. The differences between low-yield, high-lying and high-yield, low-lying vineyards are so pronounced, that there has been a call for a super-appellation in Peloponesse, “High Nemea” (which rises to an altitude of 800 metres) to make these quality distinctions within the Nemea appellation zone more clear. At their best Agiorgitiko wines possess "good" tannins in abundance which make it an outstanding candidate for both barrel ageing and carbonic maceration. With respect to the stylistic expression and blending potential, Agiorgitiko compares most closely with Merlot. It can be vinified as a single varietal, though it is frequently blended with Cabernet Sauvignon or Syrah. The hallmarks of the grape are low acidity, medium body, plush fruitiness, overlaid by notes of spices and ripe plum." "[It] can display a wide spectrum of characteristics from very tannic and really soft which really depends on the growing and winemaking techniques employed. . . The red wine varieties made from this grape is noticeably spicy with hints of plum. Again, acidity is low but it has a nice fruitiness and an appealing color." "It is one of the richest Greek in color varieties. Used mainly for production of dry red wine OPAP [Appellation of Origin of Superior Quality] and table, which has a deep ruby color is characterized by soft tannins and be open to aging. The usual alcohol content, wine OPAP 'Nemea' is 12.5% vol. This directly affected by the altitude cultivation of vineyards. Ideal altitude to produce the best quality red wines suitable for aging, it is between 350 and 600 meters, and the most common level of alcohol is 13% vol. 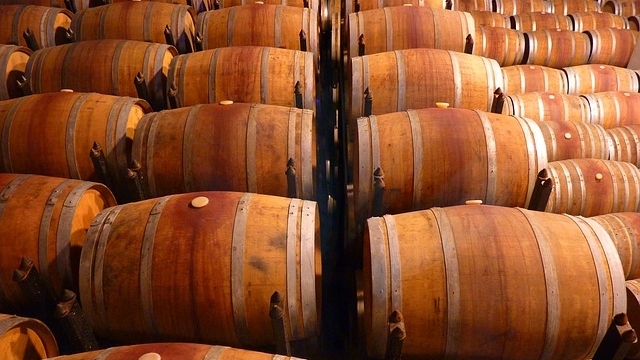 For wine OPAP (Nemea) required minimum years of aging in a barrel a year. Aging can be reached ten years where the wine remains in the grape marc with more than six days. 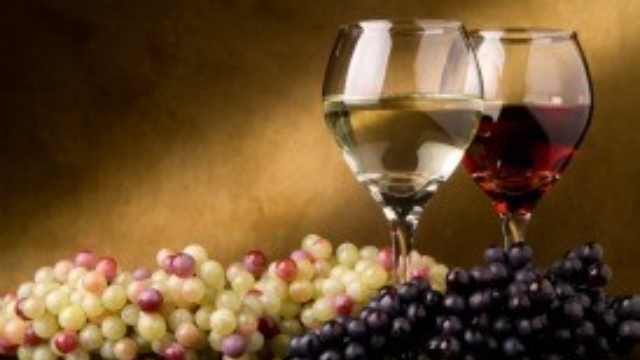 In fresh wines produced from this variety are identified fruity aromas reminiscent of cherry. 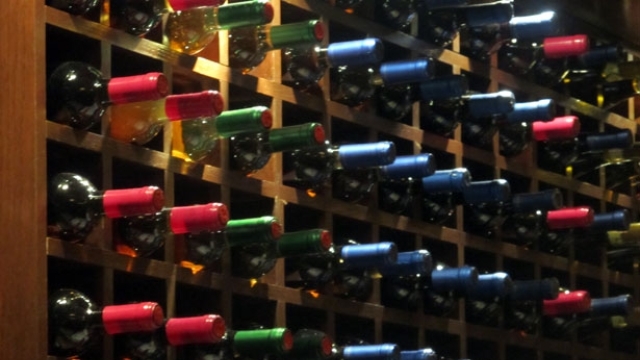 The aging of wine leads to the development of a rich bouquet dominated by aromas of spices (e.g. nutmeg), or even balsamic aromas (e.g. rosemary)." "This is the noble red of mainland Greece in Nemea (where Hercules killed the lion) and is responsible for wines that range from lighter and fruity (but still with tannic grip) to deeper and more brooding flavors." "Agiorgitiko . . . produces intensely fruity, if sometimes rather light red and rose wines." "This grape is a Greek varietal grown mostly in the Peleponnese that makes a low acid, spicy, plum-tasting red wine. 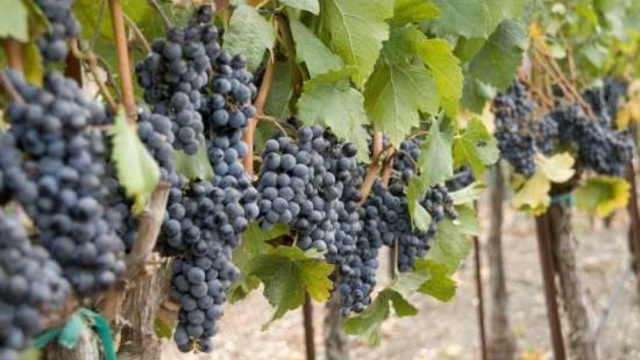 As a varietal it is very susceptible to viruses which can explain its varying characteristics such as ranging from soft to tannic in structure. It can be made into dry, off dry, Rosé or sweet versions." The samples listed below may, in a few cases, seem to push our self-imposed $20 maximum price, but in every instance there should be at least a good few under that limit (recall that the free version of Wine Searcher returns only a partial list of offerings). ♦ [A] typical, delicious Nemea wine with a very good balance and is produced from the estate's oldest vines (over 35 y.o. ), which indeed are not in a linear alignment, but shaped as a cup. While I tasted "Mitravela Estate", I thought that Agiorgitiko is a variety that is hard to dislike. It is fruity, has cherry and sour cherry flavors and aromas of sweet spices and wood... What more can a wine lover ask for...! ♦ Think CDR Village and you are right on the money. A good solid well made wine from an area of Greece known as Little Burgundy. Considering that Greeks have been making wine for as long as civilization has been around we should be drinking more of them. ♦ Deep red-blue rim. Cocoa powder. Fine-grained tannins. Black-cherry freshness. Depth. Finesse on the finish. Balanced. Authentic. A creamy, classy, fruity, terroir-driven Mediterranean red, capturing Nemea's Agiorigitiko core character. Though perhaps a lacklustre vintage, the old bush-vine wisdom shines. A wine with soul. Decant for 45 minutes. • There seem no CellarTracker pages for this wine (do not confuse it with their "Agiorgitiko" bottling). ♦ This wine knows exactly what it wants to be: fresh, fruity and easy to love. With its red cherry, black pepper and cedary spice aromas and flavors, it's a balanced, approachable red with style. It has backbone but also a soft touch. A fun and modern expression of the variety. 89 points. ♦ Anise, cherry and a floral note on the nose give this wine an elegant start. On the palate, it offers a refined balance of smoke, cherry, kirsch and olive. It's generous and likeable but still clean and fresh, with good tannic structure. Tobacco on the finish adds character. 87 points. ♦ Soft, rounded and fruity on the palate; aromas of blackberries, and forest fruits; medium-bodied. ♦ This wine has received careful oak treatment, it it is a good example just how versatile the Agiorgitiko styles can be. Fuller bodied than the [other Nemea wine tasted]. ♦ Blackberry, cherry and cedar start this rich, elegant red from Tselepos. On the palate, rounded flavors of cedar, vanilla, black berry and spice are well integrated and juicy. The wine finishes with touches of wood and smoke. 91 points. ♦ [Google-translated from Portugese] In the glass the wine showed a violet ruby ​​color of medium intensity and good luster. Tears thin, fast, large and slightly colored. In the nose the wine presented aromas of fresh red fruits and vanilla touches. In the mouth the wine showed medium body, good acidity and soft and soft tannins. Retrogosto confirms the smell. End of medium duration. An interesting, tasty wine that goes well for casual chat with friends or with wife, with or without the company of food. Worth knowing. ♦ Aromas of leather, cherry and plum lead this balanced red from Boutari. Ripe cherry, cedar and cinnamon flavors carry the palate, with soft tannins giving a sultry feel. 89 points. ♦ Fantastic interesting and intense aromas with mint, burlap, leather, meat and spice with bright red cherry fruit. The palate is quite full and soft with medium acidity. There are some developed notes of meat, leather and spice with old wood and black cherry and black berry fruit, almost like Crianza Rioja but with some Greek wildness. Excellent value. 90 points. ♦ It is a very deep red with a very sweet, fruity aroma that actually reminds me of grape crush pop and the inexpensive powder-made u-brew wine I drank while in university. It doesn’t taste like grape crush though. In fact it does not have much flavour at all. It is a very light, inoffensive wine with a slightly bitter finish. Like a pinot noir, you could probably pair this with duck or seafood and it would not over-power the flavour of your food. But why would you want to? It is not a bad wine but it’s not a good wine either. It is a wine seeking a personality. Like oatmeal, maybe you could add fruit and make sangria. I don’t dislike this wine but it bores me. I look forward to trying more wines from this variety but I won’t be uncorking this one again. ♦ True to Agiorgitiko, this is soft and ripe and plumy, and thankfully is as approachable in price as in texture. ♦ Fun, exuberant, fresh, modern cherry explosion expression. Simple, direct, positive energy and ease of drinkability. Has just enough spice, floral lift and back end bite to afford it three years of service, with any sort of roast meat or salty cheese. Good stuff. ♦ The basic Nemea of Nemeion Estate with grapes from Petri and Asprokampos villages. It had very dense fruit (I guess because of the very low yields of 32 hl / ha) with aromas reminiscent of cherries, plums and sweet spices, specifically clove. Alcohol is a bit underlined although not theoretically high (13%). ♦ [Google-translated from Romanian] A very pleasant surprise, this Greek wine, very pleasant, personally, if not slightly sophisticated… The color is rather low in intensity, but with few wines I have seen as prominent the smell of violets as this wine, so I will not risk too much in the affirmations and say no one. Once tanned violets appear to be lost among other light floral tones and turn into shades somewhat more common, but equally well painted and agreeable. Your mouth is dressed with flavors that bring with ripe plums and cherries in a compote that are lost in the dominant floral and lively postgust. ♦ There's cherry-raspberry fruit on the nose, but the palate doesn't live up to the nose at all. It has a pinotage like rubbery bitterness to it that I find rather unappealing. 78 points. ♦ This is an outstanding red wine possesing a deep colour and exceptional vitality. It is characterized by the aroma of wild flowers of Greek nature, as well as fruits such as plums and cherries. Our recommended "splurge" wine is actually only a tad above our $20 cutoff, and indeed can be found for less than that $20 (if sometimes only barely) at some few retailers. That wine is the Gai'a Estate Red (not to be confused with their "Notios" bottling or with an "Estate S" bottling).